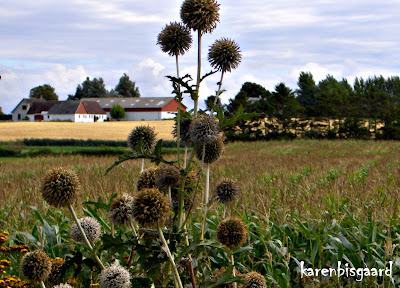 Karen`s Nature Photography: Roadside Thistle Globe Plants in Front of Maize Crop. Roadside Thistle Globe Plants in Front of Maize Crop. Grøftekant tidselkugle planter foran majsafgrøde.